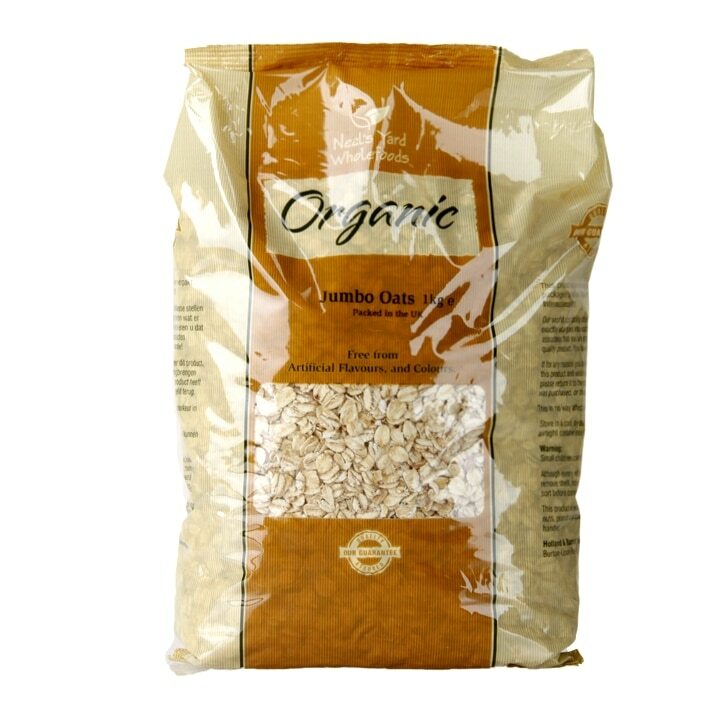 Holland & Barrett 100% Organic Jumbo Oats is rated 4.4 out of 5 by 74. Rated 1 out of 5 by Gemma 22 from So disappointed. After running out out the last batch I bought the new packagef new improved oats. No matter how they are cooked the oats don't bind together and appear as a stodgy mess. When these have been used I will have to source an alternative. Rated 1 out of 5 by Angie37 from Poor substitute On being unable to find my usual Neals Yard jumbo porridge oats, I was told that H&B were changing supplier and that these were their direct replacement. Well, on trying them, I was so disappointed. They are nowhere near as tasty as Neals Yard and don't seem to bind together as well either, leaving the flakes quite separate and stodgy. I certainly won't be using these as a permanent substitute any time soon so the hunt for a decent one goes on! Rated 1 out of 5 by Peter k from Porridge horrers These have to be the wosrt improved product ever , i ask myself is this just another company trick to raise more money. ? using cheaper ingredients or what, only packaged in th uk ? where do they really come from, Tried several ways to cook all with the same result ,a stodgey mess.